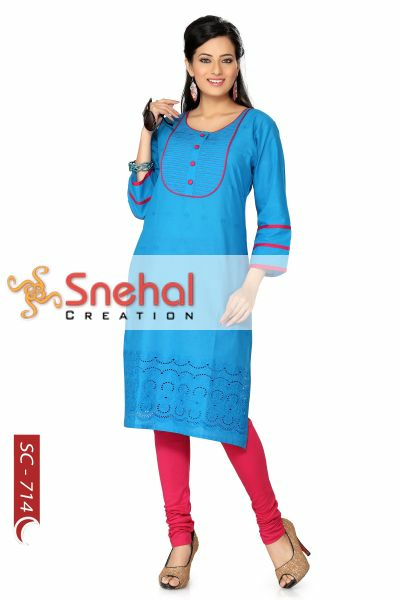 Gift yourself beautiful days with a beautiful yourself when you wear this stunning piece by Snehal Creations. This cotton tunic stands out amongst other due to the particular shade of blue it comes it which is breathtaking in its own right. The cotton fabric has been known to provide one with superior comfort. Round neck and a buttoned front panel, certain pintex design and magenta piping near it complete the look of the Indian kurti. Similar designing is present on the cuffs of sleeves as well. 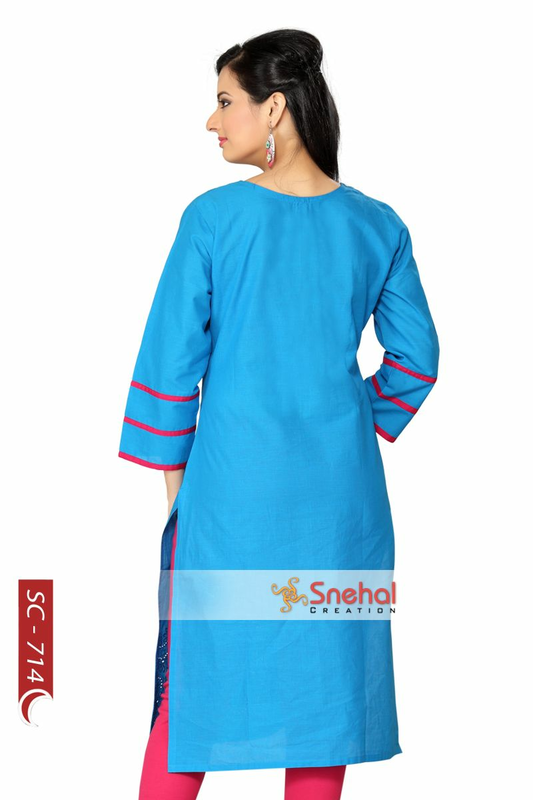 The base of the kurta has chicken design and is a favourite among women of all ages. This subtlety is rare beauty. AVAILABLE IN 4 DIFFERENT COLORS.